Garibaldi is not to be confused with Garibar – which serves snacks, pizza and light bites – located on the ground floor of the two-level outlet. 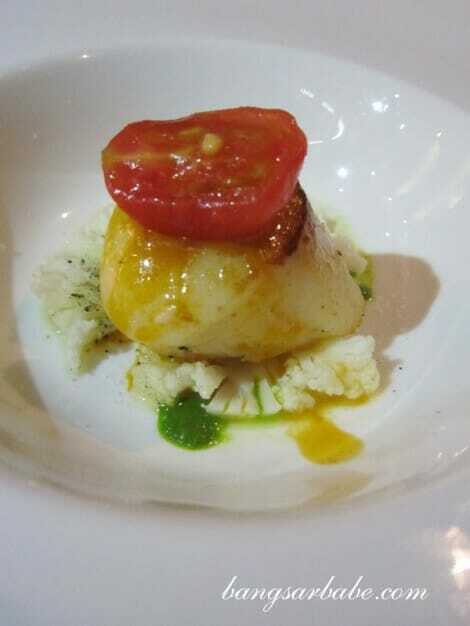 Instead, the former offers fine dining Italian cuisine and I got a sneak preview of their degustation menu for December 2011 last week. 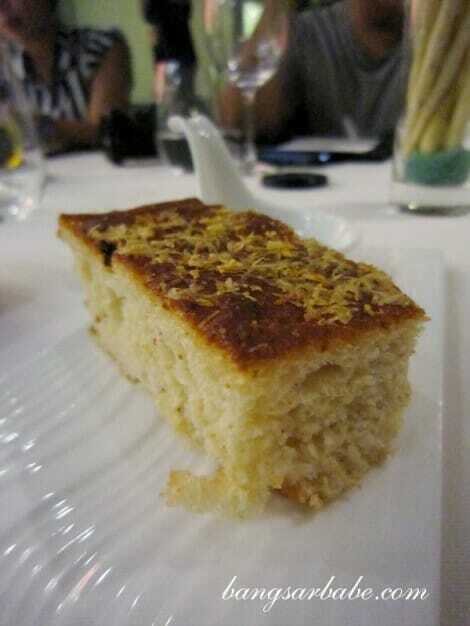 The bread sticks on a base of coarse salt and freshly baked foccacia were good nibbles as we waited for our food. First up was the Ostrica, which came in the form of a poached quail egg – soft and creamy – placed on the fresh oyster and topped with a spoon of caviar. 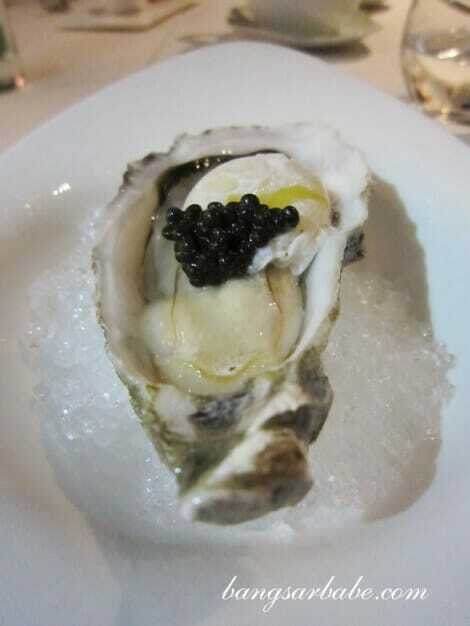 The combination of juicy oyster, creamy yolk and salty caviar was simple yet decadent. 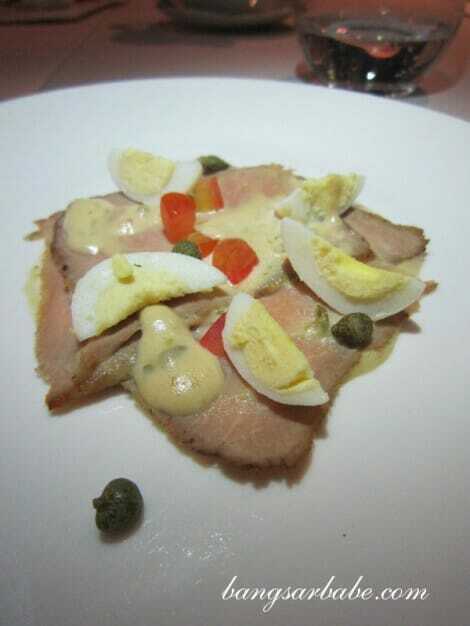 I liked the Italian cold cuts veal in traditional piedmont recipe with tuna and caper’s creamy sauce (Vitello Tonnato). It reminded me of the pork loin at the once non-halal iL Lido. A bit more capers would have been ideal as I like salty accents in my food. 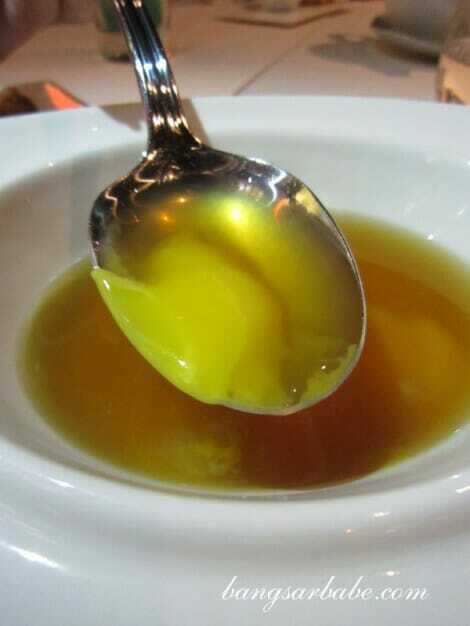 The clarified broth (Brodo Ristretto) had no fibers, no pulp, no fat and no substance. Just beef flavour in fluid form and a tinge of brown. I savoured the broth halfway, broke the yolk and dipped the truffle bigne – a crispy rendition of pastry puff and truffle – into the liquid. The last bit was most enjoyable for me and the truffle flavour gave the soup a bit of depth. 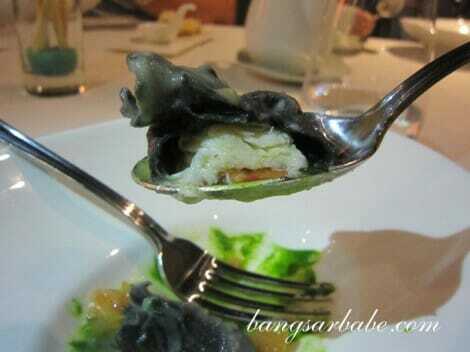 Black must be the universal colour of food fashion judging from the squid ink ravioli (Fagottino). For some reason, I find black food sophisticated and appealing. Many however, still disagree with me. 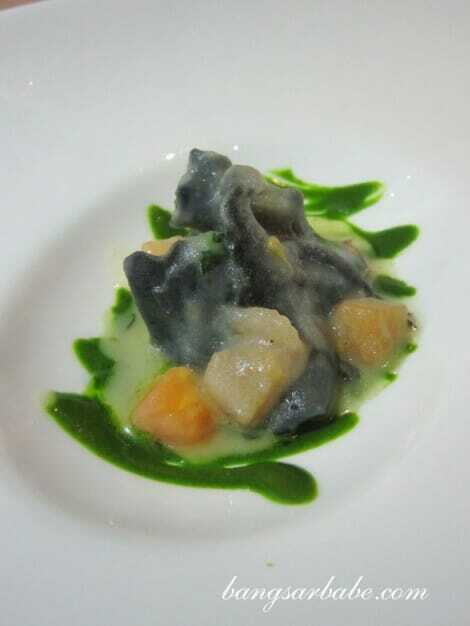 Anyway, this ravioli had a good combination of flavours and textures. 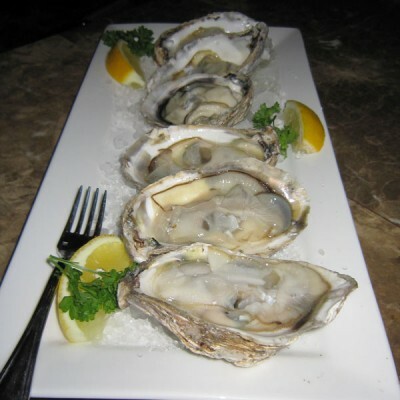 The rightly thick skin was cooked al dente and encased a sweet and flaky centre of crabmeat. 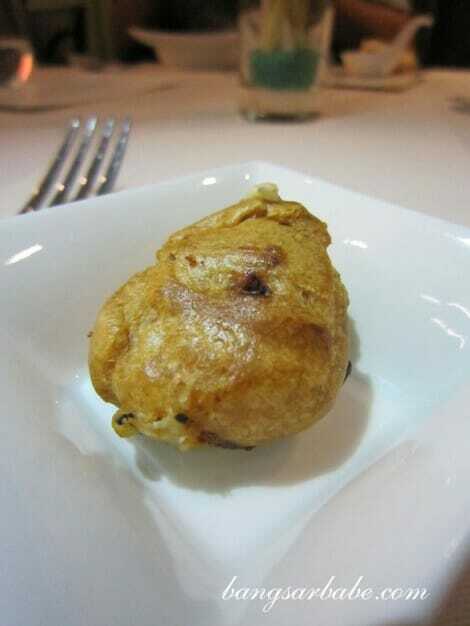 Look at how generous the chef was with the filling! 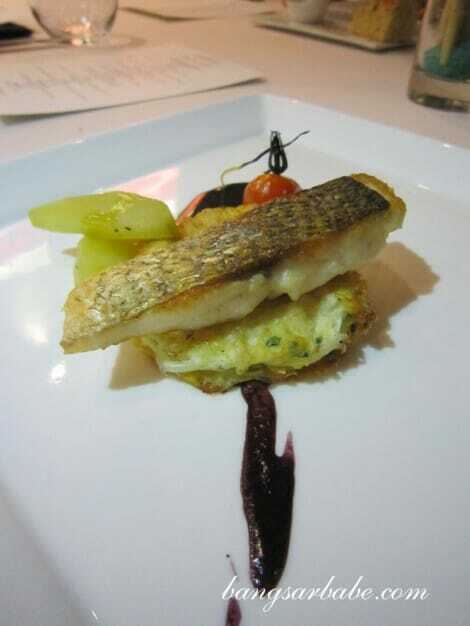 The pan seared line catch sea bream fillet (Orata) was skin-crisped and succulent. Very rustic, I thought. This came with apple black rice puree and whitebait omelette; I thought the former’s tangy edge did a good job in augmenting the mellow flavour of the sea bream. The whitebait omelette was interesting – light, yet chewy and crisp, yet tender. 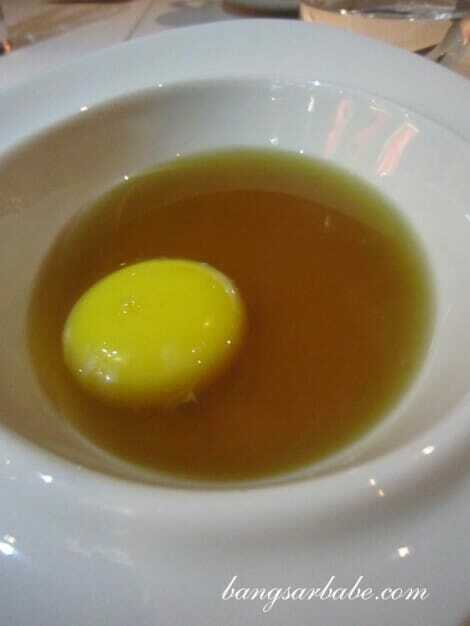 It tasted almost like an egg white omelette, only with more body. 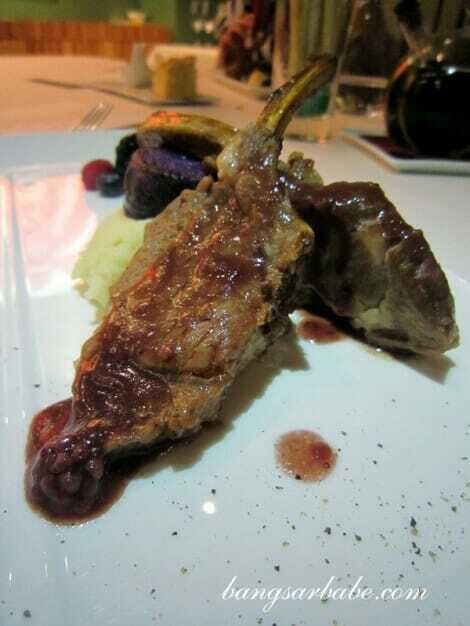 I expected the roasted tobacco smoked lamb rack (Agnello) to have an intense smoked flavour, but it was quite mild. 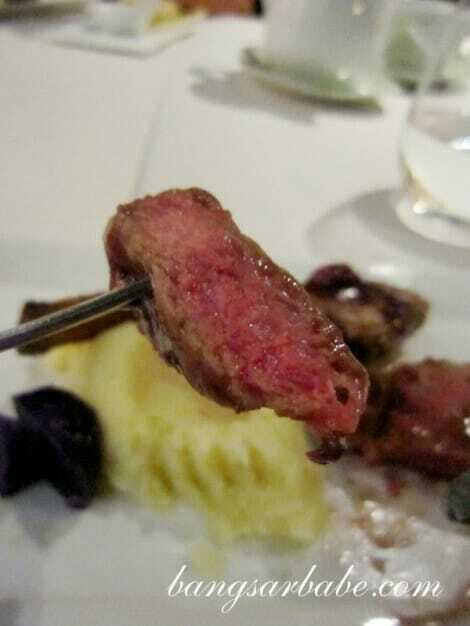 Granted the lamb was perfectly tender, a sprinkle of salt would have been better. But that might just be me being a plebian. I’m still a novice when it comes to fine Italian food. rif and I didn’t enjoy the celeriac mash either – it tasted a tad bitter from the root of the celery. Crispy Italian Meringue with Chocolate Chip Parfait and Dark Cherry (Meringata) was one of the best meringue-based desserts I’ve tried. 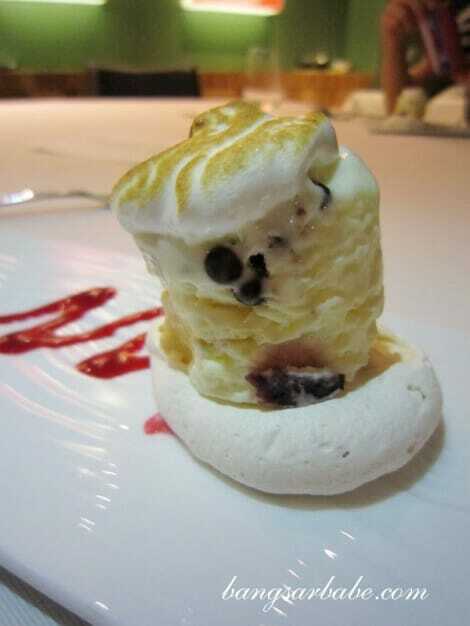 The flavours were clear and complemented one another and the meringue’s crisp and soft texture played off elegantly. 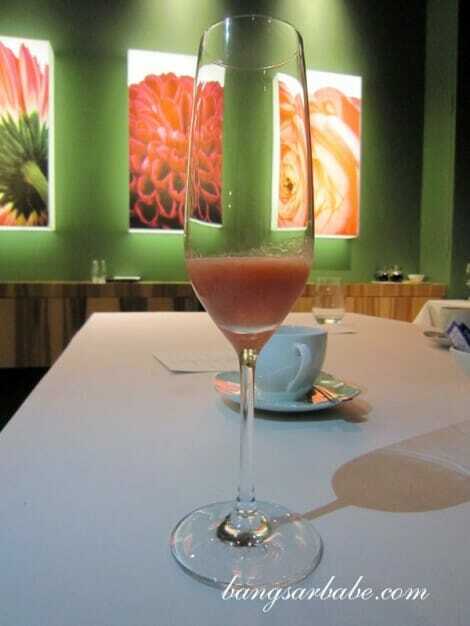 That night, we tried two types of sorbet (Sorbetti) – strawberry and passion fruit. 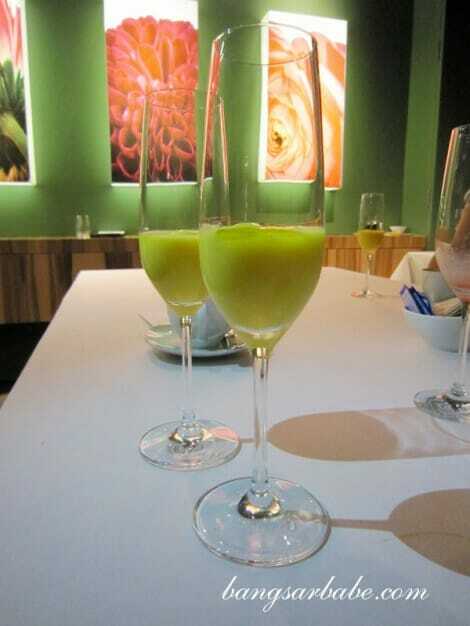 Both were lovely, but my favourite was the passion fruit sorbet, which was refreshingly fruity. All in, I found my dining experience at Garibaldi a learning one, especially with the clarified beef broth. I guess that just means I need more exposure to fine dining Italian food. 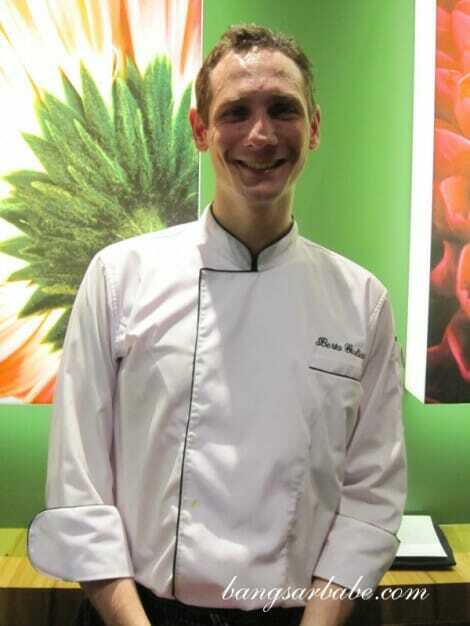 Garibaldi’s degustation menu (which changes on a monthly basis) is priced at RM250++ per person. Thanks Sonia, for being such a lovely host and Leonard, for the kind invite! Verdict: Starters and desserts were lovely but the lamb didn’t quite do it for me. beef broth! !nice, have to try that someday.